Flood water is poison to your car because it is loaded with silt, debris and mud. Flood damaged cars are expensive to repair, and even if you think of everything, there is still a chance some water or debris found its way into one of the vital systems, which can lead to a total breakdown. This is why most flood damaged cars are considered totaled. However, whether or not a flood damaged car can be deemed a total loss is dependent on a variety of factors. There is still hope for your car if you take the proper precautions. There might be water or debris in the engine, oil or fuel system. Attempting to start the car will force debris or water throughout your system and make things worse. Electricity and water do not mix. Even just powering up the dashboard can fry your whole electrical system. If your dashboard was beneath water at any point, your car is likely totaled. Mechanical systems can be disassembled and cleaned, and interiors can be dried out, but electrical systems can't be revived after total submersion. The drivetrain system is also at risk because water and mud can leak into your engine and fuel line. Flood water that was only a foot deep might not affect your car, but still take the proper precautions and avoid starting it up and disconnect the battery until you can have it checked by a professional. Before you even move the car, drain the oil, fuel and transmission fluid. Check the oil and fuel for water. You'll notice it right away because water does not mix with those liquids. Water will float on top of oil, and it will settle below fuel. Use an air compressor to blow out your fuel line, and change the oil filter and the fuel filter before you try and start your car again. Even if you can do all of that yourself, it's still wise to seek out professional help. They could probably even take care of the more heavy duty items like cleaning and repacking your wheel bearings and constant velocity joints. Will Damaged Vehicles "Flood" the Market? The disastrous hurricanes and floods that struck Houston and Florida totaled over half a million cars. Whether those vehicles will be scrapped or repaired and resold will be determined, but with potentially hundreds of thousands of flood damaged vehicles being reintroduced to used car dealerships, it's important that used car buyers know how to avoid buying a severely damaged vehicle. Most flood damaged cars that are repaired and resold will have a salvage title to inform you that the vehicle might have some unseen damage. Salvage tags are meant to protect buyers, but car sellers--both private and commercial--have found a way to remove salvage tags from the title so they can buy damaged vehicles at extremely low cost and sell them for a massive profit. You've heard of criminals laundering money. That's the process of taking money that has been made illegally and making it appear like it was earned legitimately. Likewise, criminal car sellers will launder vehicle titles to make damaged vehicles appear like they have a clean history. By transferring a car to another state and requesting a new title, car sellers can acquire a new vehicle title that doesn't include the salvage tag. It's disappointing to think someone would stoop so low, but knowing that there are people playing the system can help you avoid losing at their games. See if the owners manual looks like its been wet. Take out the spare tire and look for water marks or mud. Check for rust on screws, door hinges, hood springs and trunk latch. Look for mud in strange places, like in the corners of the trunk, under the seats or the glove compartment. Check the door panels or glove compartment for warped fiberboard. If the door panels feel loose or the glove compartment shifts around, that is a sign of warping. And remember, buying from reputable used car dealer and getting a pre-purchase inspection can help you avoid a lot of trouble down the road. 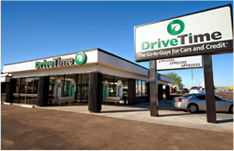 DriveTime's North 45 dealership in Houston was affected by the recent hurricane, and over 60 vehicles required minimal water extraction. Even though the cars were never submerged or damaged, they were still reconditioned and a water extraction disclaimer was placed on every vehicle. 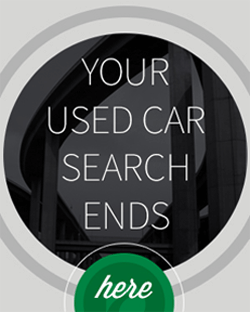 Some of these vehicles may be transferred to dealerships in other states. Customers buying these vehicles will have the vehicle’s history--including the recent water extraction--disclosed during their dealership visit so they can make an educated decision. If you have questions about DriveTime’s water extraction disclaimer, please leave a comment. Thank you for letting us know about this. I want to apologize that this situation is bringing you such stress and aggravation. Please know that in addition to being inspected, all of our vehicles do come with the 30 day/1,500 mile limited warranty. If you are outside of that period, we also offer the extended service contract. Please know that my team, Customer Relations, is here to address situations such as this. I would like to take a deeper look into what you are experiencing. To best assist, please contact my Customer Relations team at (888)290-0148. I suspect that the car I just recently purchased may have been from a flood. It has damage on the inside of the car that makes me think this. What can I do? Thank you for reaching out. I’m deeply sorry to hear that you are unhappy with your vehicle due to the suspected flood damage you mentioned. Please know that each vehicle on our lot is inspected in an effort to identify any known issues prior to sale. Additionally, it is important to keep in mind that each customer is provided with an Experian AutoCheck Vehicle History Report at the time of sale. This report may indicate a prior accident record, a rental or government vehicle, registration in a storm area, and/or a theft record. If any of the items were applicable, these items would be noted. It is also important to know that we would have no knowledge of any unreported accidents or tampering that may have occurred while the previous owner had possession of the vehicle. I want to apologize again for any frustration this situation has caused. At your earliest convenience, please contact my Customer Relations team at (888) 290-0148 so we may research this matter with you further.